My first two months have been an exciting and fascinating ride. I feel like I have been “drinking from the fire hose,” as I have met with WCF staff, member companies, origin governments, and partner organizations to hear their perspectives about the strategic directions of WCF. I come away from all these discussions with enormous pride about the work being done by WCF staff and the impact of WCF programs on the ground. During my recent visit to Côte d’Ivoire and Ghana, I saw firsthand that CocoaAction is providing a powerful framework to align industry support for farmer productivity and community development. No wonder the current Harvard Business Review has showcased CocoaAction as a good example of corporate collective action for social good. Likewise, I have met with scientists from Southeast Asia and Latin America who are advancing cocoa research thanks to WCF support through the Borlaug Fellows program. At the same time, however, I have heard the governments challenge us to do more, particularly to help bring the Cocoa Swollen Shoot Virus (CSSV) under control, and grow demand for cocoa products in emerging markets. Deepening collaboration with key partners has been a top priority during my first two months. Recent discussions with the World Bank, IFC, African Development Bank, USAID and other bilateral financial institutions, as well as the Jacobs Foundation and other philanthropic organizations, have highlighted their keen interest to partner with WCF and provide increased investment in the cocoa sector. We have also been brainstorming with important stakeholders like the International Cocoa Organization, International Cocoa Initiative, IDH – The Sustainable Trade Initiative, European Cocoa Association, the confectionary associations of United States and Europe, VOICE Network and others, about how we can better leverage the strengths of each of our organizations to accelerate sustainability and poverty reduction in cocoa farming. In addition to reaching out to our members and partners, I have also been reflecting internally with WCF staff on our goals and strategies: What is our vision for the future? 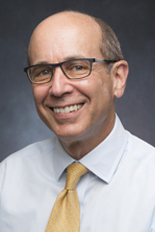 What is the unique value proposition of WCF and how can we best serve our members? Are we using our resources as efficiently as possible to deliver results? Sustainable Livelihoods: In addition to boosting farm yields, what other investments are needed to help farmers move out of poverty? Inclusion: How can we accelerate financial inclusion, particularly for women farmers, and make cocoa farming more attractive for young people? Environment: Is the industry doing enough to address deforestation in our supply chain and promote climate-smart agriculture? Future Trends: What will the cocoa sector look like in 2030, and are we focusing on the right challenges today? The Partnership Meeting will help set the agenda for our future work. I hope you will join us in Abidjan and share your perspectives and experiences. Since WCF was founded in 2000, it has hosted the Partnership Meeting as a periodic gathering of actors from across the cocoa sector to build strong partnerships for sustainability in the cocoa supply chain. This year, the Partnership Meeting takes place for the first time ever in the world’s number one producer of cocoa – Côte d’Ivoire – with the goal of building a stronger, sustainable cocoa sector through learning, networking, and partnership opportunities. WCF is proud to co-host the 2016 Partnership Meeting with Côte d’Ivoire’s cocoa agency, Le Conseil du Café-Cacao. The meeting takes place October 26-27 at the Radisson Blu Hotel in Abidjan. 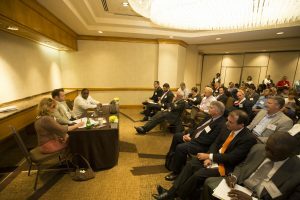 Executives from chocolate and cocoa companies, global retailers, cocoa producing country governments, cocoa farmers, society organizations, academia, research institutes and more will come together to address critical issues facing the sector. This year’s theme – “People, Planet, Profit in a Changing World” – focuses on the three elements of sustainable development and how they are shaping the future. The theme is broken down into two sub-themes with Day 1 focusing on “Sustaining People, Planet, and Profitability,” and Day 2 tackling “Learning and Adapting in a Changing World.” Each of the sessions feature speakers with geographic and gender diversity with the goal of representing the global cocoa sector and a diversity of perspectives. Simultaneous translation will be available during the meeting. See the full agenda on the Partnership Meeting event page. Following the Partnership Meeting, WCF and Le Conseil du Café-Cacao invite participants to see firsthand the impacts of sustainability programs being implemented by the cocoa sector with a visit to cocoa farms and cooperative headquarters in southeastern Côte d’Ivoire. The Partnership Meeting is generously supported by a group of WCF member companies including Cocoa Platinum Sponsor Barry Callebaut, Cocoa Gold Sponsor The Hershey Company, Cocoa Silver Sponsors Cargill, Mars, Incorporated, and Tachibana International, and Cocoa Bronze Sponsors Arysta Callivoire, Cémoi, Diamond Bank, Ecom, and Ferrero. Providing in-kind support are Germany’s Federal Enterprise for International Cooperation (GIZ), and South African Airways (www.flysaa.org). Registration for the Partnership Meeting and the field visit are required. Registration is limited and closes on Monday, October 17. Visit the event page to learn more about the meeting, view the agenda and speakers lists, book your hotel room, see the list of participants, and to register. On November 8 – 10, 2016, the WCF’s African Cocoa Initiative (ACI) and the African Cocoa Breeders Working Group (ACBWG) host a symposium on the next generation of cocoa research for West and Central Africa. 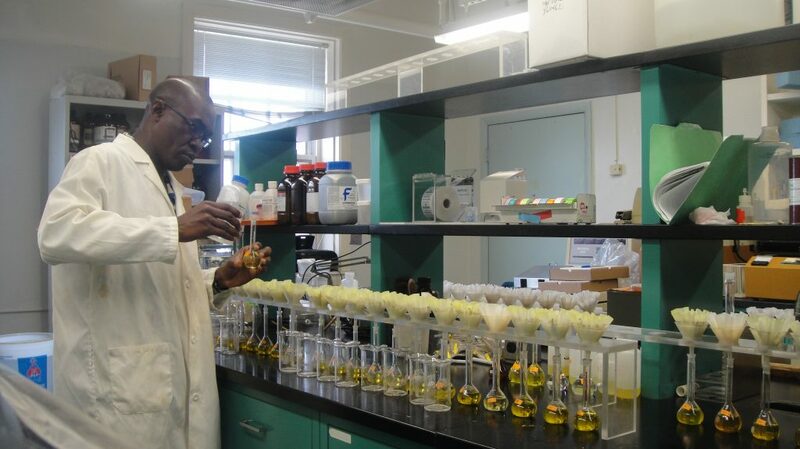 The symposium takes place in Ibadan, Nigeria, and will focus on innovations in cocoa research in an effort to develop national, regional and global alliances to unleash the potential of the crop. Q1: What is the Regional Symposium and why is it important? Why now? 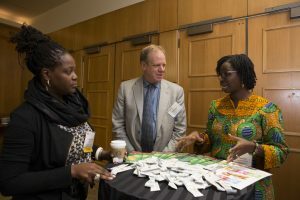 A1: The objective of the symposium is to examine the future of cocoa research needs in the wake of new challenges, threats and opportunities. There remains a strong need for applied research and innovation especially in the area of labor-saving technologies. One of the key elements in the future of farming is attracting youth to the business. Q2: Who should attend the meeting? A2: Cocoa value chain stakeholders, policy makers, scientists, students and supply chain players with an interest in cocoa research. Q3: What kind of research will be featured at the meeting? Q4: What impact does research have at the farm level? A4: Research provides technological solutions to improve quality, productivity and efficiency – it could be in response to biotic and abiotic pressures such as climate change or pests, as and well as quality needs of the industry. Q5: How will the meeting guide the strategy for cocoa research in the future? A5: Policy makers and researchers will come together to examine priorities for research in the region in the future. Q6: What is the biggest need in order to improve/increase the global cocoa research agenda? A6: A global agenda and thematic priority areas would serve to rationalize funding priorities from public and private sources. This would help ensure that global cocoa resources and germplasm are preserved, and research is participatory and multi-disciplinary. 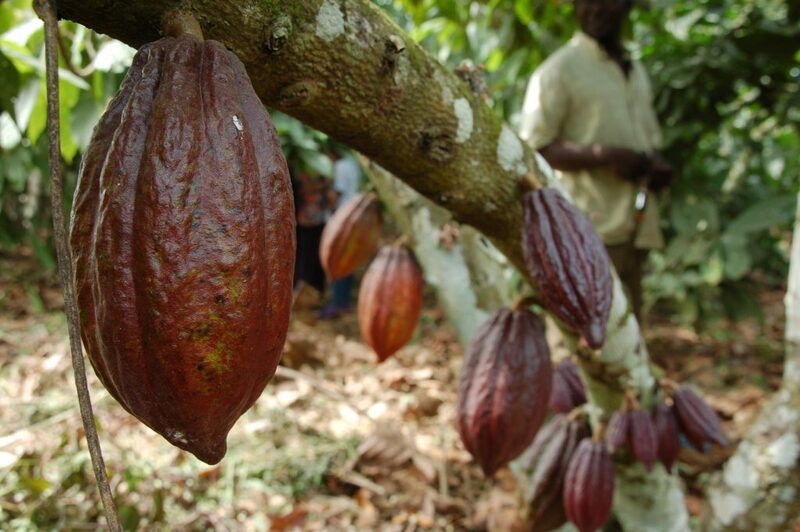 Q7: What can West Africa learn from the rest of the world regarding cocoa research? What can other cocoa regions learn from West Africa? A7: Origin countries around the world must make cocoa research a national priority. 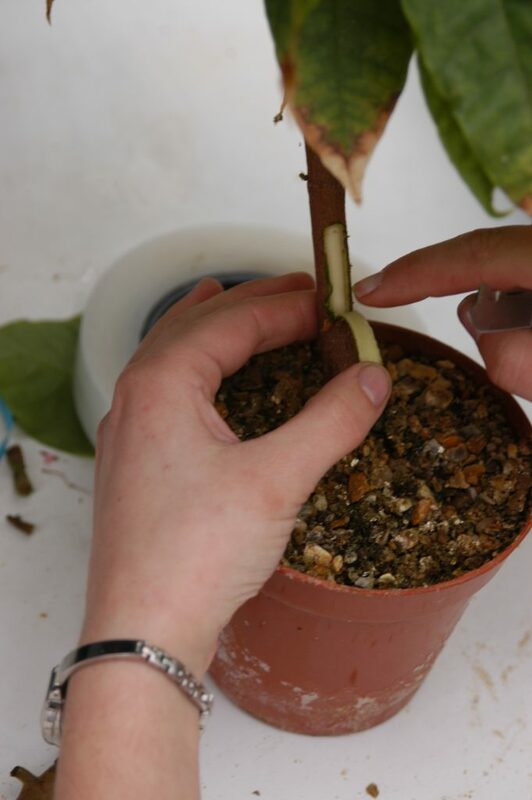 This must be supported by perennial funding and by attracting young scientists to successful careers in cocoa research. Learn more about the symposium and register to attend: www.worldcocoafoundation.org/regional-symposium-2016/. 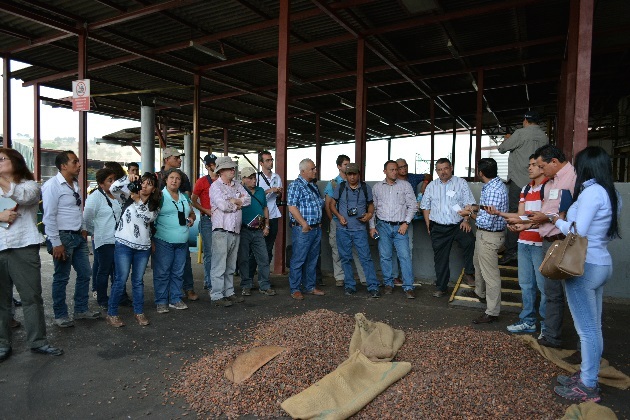 WCF hosted its Third Annual Seminar for Cocoa in the Americas on September 5-7 in Guayaquil, Ecuador. Participants included cocoa producers, researchers, industry executives, government officials and civil society organizations. The meeting was co-sponsored by Ecuador’s Ministry of Agriculture, Livestock, Aquaculture and Fisheries (MAGAP), and WCF members Transmar Ecuador and Olam, as well as Swisscontact. The two-day interactive session focused on the topic of fine flavor and quality. 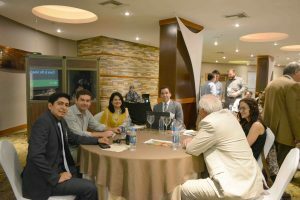 Seminar attendees had the opportunity to learn about Ecuador’s unique experiences from the perspective of both MAGAP and the private sector. Other highlights of the seminar included a tasting session of Ecuadorian cocoa liquor, a discussion of the future of fine flavor cocoa in the region, a presentation on cadmium and food safety and the continuation of discussions on developing international quality standards. The seminar concluded with a field visit to the INIAP research station in Boliche where seminar attendees learned about current research in breeding and quality. The field visit also included a rare opportunity to tour Transmar Ecuador’s processing facility. Full presentations and information from the Seminar can be found at: www.worldcocoafoundation.org/category/knowledge-center/meetings-resources. The ISO 34101 series of standards on Sustainable and Traceable Cocoa Beans is being developed to align the structures, procedures, and criteria of the leading sustainability initiatives and establish a single international standard of reference for future initiatives. 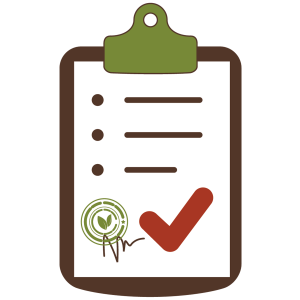 This international standard takes a system and stepwise-approach to sustainable cocoa bean production and specifies requirements for a management system, product traceability, and improved performance in areas of People, Planet, and Profit. The ISO 34101 series includes a certification scheme that specifies requirements for organizations and the process involved in certifying sustainably produced cocoa beans. A related but separate standard, ISO/DIS 2451, is also in development on cocoa bean specifications and quality requirements. 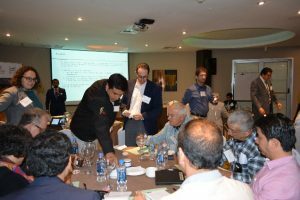 Key stakeholders – farmers, government, industry, and civil society – from across the globe have come to the table to discuss and gain consensus on sustainability topics to set the ISO 34101 standard, which is expected to be finalized by the end of 2017. WCF is serving as a liaison organization whose input is uniquely recognized. As the standard development process advances, the ISO 34101 standard has arrived at an important stage of public enquiry and companies are invited to review and comment on the current draft standard. Since the process began in 2014, multiple discussions, technical reviews, and plenaries have occurred at national and international levels to arrive to this stage. Currently, parts 1-3 of this international standard on 1) sustainability management system; 2) traceability; and 3) performance requirements related to economic, social, and environmental aspects are open for public enquiry until December 4, 2016. The public enquiry for ISO 34101 part 4 on the Certification Scheme is expected to begin in December 2016. Separately, ISO/DIS 2451 “Cocoa beans – Specification and quality requirements” will close its public inquiry on October 3, 2016. Interested companies are invited to review the current draft standard. Please contact your national ISO member to learn how to get involved. The standard is expected to be finalized by the end of 2017. See more cocoa industry events here. WCF is thrilled to welcome Ivorian input supplier, Arysta Callivoire, as its newest members. WCF warmly welcomes Christian Michel, (Operations Associate), Emily Auerbach (Executive Assistant), Falguni Guharay (Program Manager Latin America, Climate Smart Cocoa), Koffie Kouakou (CSSV Coordinator), and Sander Muilerman (Program Manager West Africa, Climate Smart Cocoa), to the WCF team. WCF extends its gratitude and best wishes to Ben Brennan (Program Associate, Southeast Asia, Latin America and Research), John Durkin (Human Resources Associate), and David Short (Monitoring and Evaluation Consultant) as they embark on new career paths.